Satellite radio waves to transmit audio using digital signals. Unlike the analog signal that uses continuous waves, sound waves are transmitted through a digital signal comprising binary codes 0 and 1. This signal is transmitted to the service area of a much broader because it uses satellite. Only radio can only be accepted by a special device that can translate the encrypted signal. Satellite radio also can only be accepted in the open where the radio antenna on the plane has a line of sight with a satellite transmitter. Satellite radio can only work with no major obstructions such as tunnels or buildings. Therefore, many satellite radio devices are promoted to the car radio. To get a good broadcast transmission, need to be made like a repeater station in America for quality of service excellence. The device is expensive (because it uses a satellite) make this system commercially. 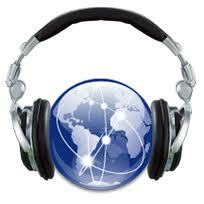 Listeners must subscribe to be able to listen to radio broadcasts. Even so the resulting sound quality is very clear, no longer have noise like a conventional radio broadcasts. In addition, most of the broadcast content is also free of advertising and listeners have many more choices broadcast channel (more than 120 channels). The company is a world provider of satellite radio WorldSpace satellite radio broadcasts serving in the U.S., Europe, Asia, Australia, and Africa. WorldSpace has three satellites that serve different regions. In Indonesia, in 2002 samapai WorldSpacehas teamed up with RRI , Radio Trijaya, Borneo WaveChannel ( Masima Group ), goindo.comandKompas Cyber Media as a filler content of satellite radio services by using Asian Star satellite . Radio yang dikenal juga sebagai radio digital ini bekerja dengan menggabungkan sistem analog dan digital sekaligus. Dengan begitu memungkinkan dua stasiun digital dan analog berbagi frekuensi yang sama. Efisiensi ini membuat banyak konten bisa disiarkan pada posisi yang sama. Kualitas suara yang dihasilkan HD radio sama jernihnya dengan radio satelit, tetapi layanan yang ditawarkan gratis. Namun untuk dapat menerima siaran radio digital pendengar harus memiliki perangkat khusus yang dapat menangkap sinyal digital.